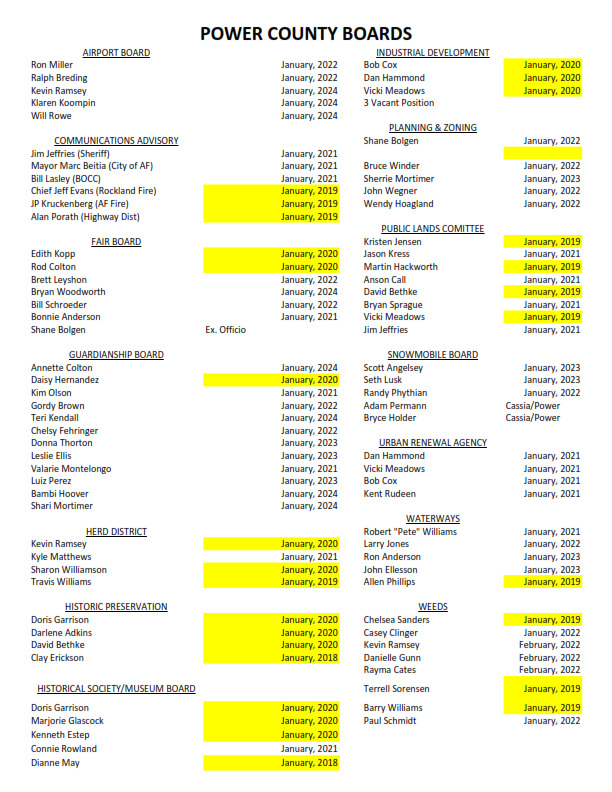 All Power County board positions are volunteer. If you are interested in serving on a board please contact any one of the county commissioners. Click here to download a PDF of the Power County Boards.